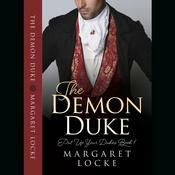 A USA Today Bestseller and 2018 RITA® Finalist for Short Historical Romance, The Demon Duke is the first in Margaret Locke’s new Put Up Your Dukes Regency historical romance series. “Regency romance lovers will savor this story, interspersed with perfect amounts of romance, intrigue and redemption.” - InD’Tale Magazine, October 2017. Banished to Yorkshire as a boy for faults his father failed to beat out of him, Damon Blackbourne has no use for English society and had vowed never to return to his family’s estate at Thorne Hill, much less London. However, when his father and brother die in a freak carriage accident, Damon must take up the mantle of the Malford dukedom and chaperone his sisters through the London Season–his worst nightmare come to life. He never planned on Lady Grace Mattersley. 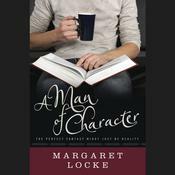 She stirs him body and soul—until she stumbles across his dark secret. 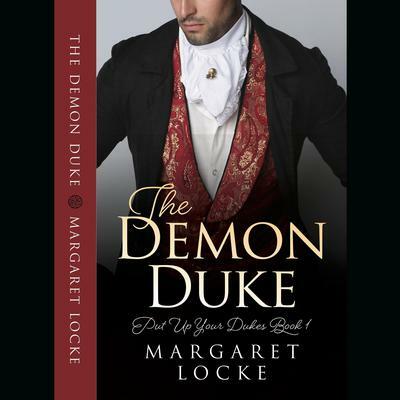 If you love “beauty and the beast” stories, you’ll love The Demon Duke.